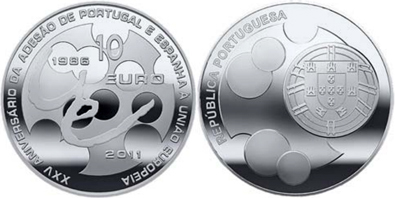 "150 years of Lawrence College Ghora Gali Murree"
2.50 euro "European Explorers: Roberto Ivens and Hermenegildo Capelo"
10 euro "25th Anniversary of Portugal and Spain adhesion to the European Union"
2.50 euro "100th Anniversary of the pupils of the Army College"
2.50 euro "Wine-growing landscape of Pico Island, Azores"
7.50 euro "Numismatic treasures: the "Portuguese" coin of king Manuel I"
Uusimaa, or Nyland (both names mean "New Land") in Swedish, is a region in Finland. 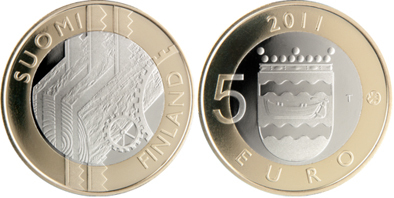 It borders the regions Finland Proper, Tavastia Proper, Päijänne Tavastia and Kymenlaakso. Finland's capital Helsinki and its second largest city Espoo are both located centrally in Uusimaa, making it by far the most populous region. 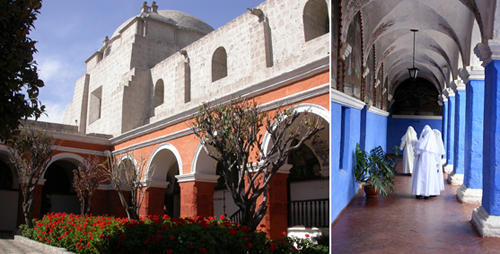 "Japan prefectures: Akita, Iwate & Shiga"
"100th Anniversary of Vajiravudh College"
The Monasterio de Santa Catalina is a cloistered convent located in Arequipa, Peru. It was built in 1580 and was enlarged in the 17th century. The monastery is predominantly of the Mudejar style, and is characterised by the vividly painted walls. 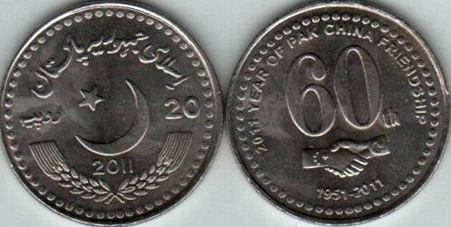 "60 years of Pakistan and China Friendship"
The obverse or the front side of the coin has the crescent and a five-point star in the centre. 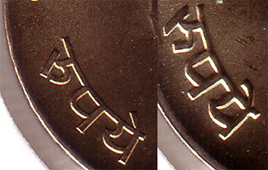 The edge of the coin is marked by 60 beads while Islami Jamhooria Pakistan inscribed in Urdu can be read over the star. The year 2011 is written under the crescent. 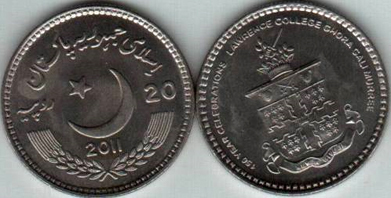 The denomination 20, both in Urdu and English, flank the crescent. 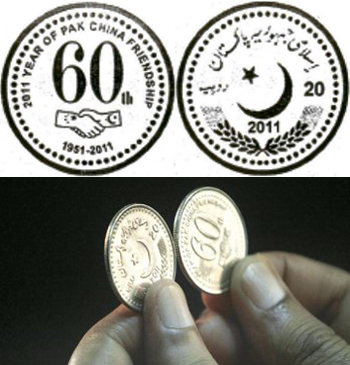 The other side of the coin has the number 60 in bold font over which 2011 YEAR OF PAK CHINA FRIENDSHIP is written. A firm handshake can be seen under the number 60. 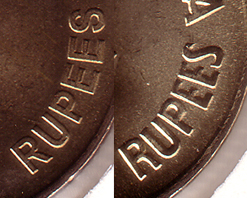 The span of six decades signifying the long-lasting bond is referred to as '1951-2011' at the bottom. 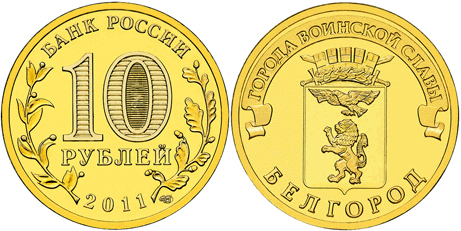 "100 years Building of the Mint"
"Cities of Military Glory: Belgorod"
"Animals: Northern Hawk Owl (Surnia Ulula)"
The Rs 10 coin will be issued to circulation by June 2011. 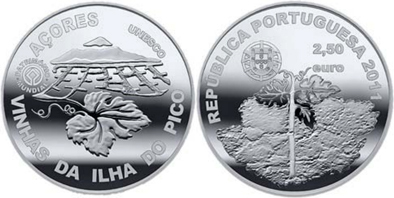 A silver Rs 1000 coin will be issued too, minted at the Royal Mint Ltd, UK. 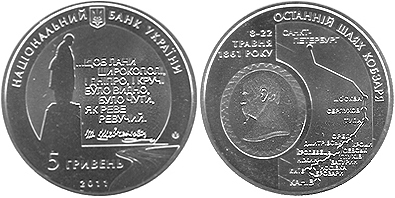 "150th anniversary of Taras Hryhorovych Shevchenko's death"
Taras Hryhorovych Shevchenko was a Ukrainian poet, artist and humanist. His literary heritage is regarded to be the foundation of modern Ukrainian literature and, to a large extent, the modern Ukrainian language. Shevchenko also wrote in Russian and left many masterpieces as a painter and an illustrator. 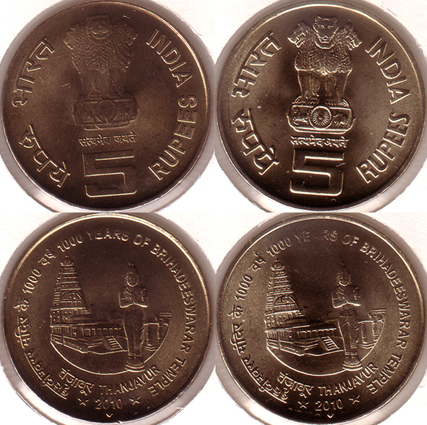 Yesterday I got several pieces of this new circulating commemorative from India. I could easily see that there are two varieties. The Bank of Israel is planning to change the country's current series of coins after 25 years, following a recent government decision to change all of the State's banknotes. 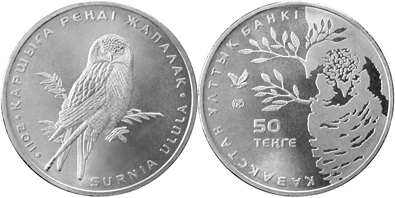 The decision is aimed at preventing forgeries, reducing the cost of the metal used to manufacture the coins (current production costs of the 10 agorot and 50 agorot coins are almost equal to their nominal value) and changing the current name "new Israeli shekel" to the previous name "shekel" on all new coins issued. 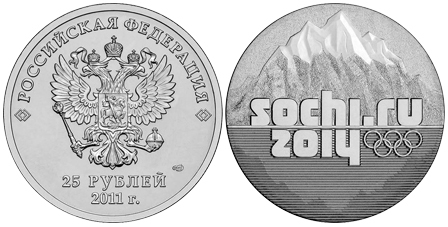 The plan is to issue a whole new series of coins with new designs, which have yet to be decided on. 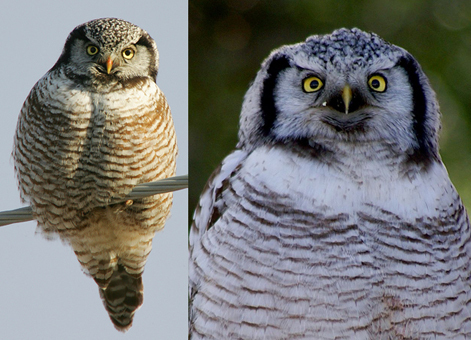 The central bank's advising committee will discuss the new design. 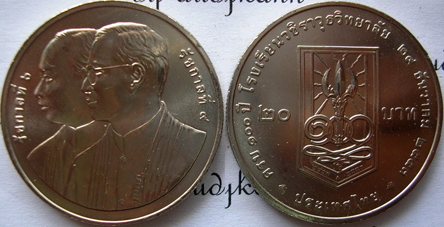 The new coins will enter circulation within 2-3 years. "Church of St. George in Ilori"
A remarkable monument of Georgian architecture, the church of Saint George in Ilori (Ochamchire region), Abkhazia, was built in 11th century and represents one of the most important praying places for all of Georgia. Walls of the church bear several old Georgian inscriptions performed by Georgian orthodox believers of different generations. "Centenary of International Women's Day"
On 8 March 2011, the world celebrated the centenary of International Women's Day. To recognise this milestone a special circulating 20c rolled coin has been produced by the Royal Australian Mint. 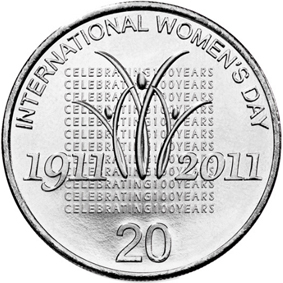 This commemorative coin pays tribute to the past and future contributions of Australian women to the development of Australia's prosperity. 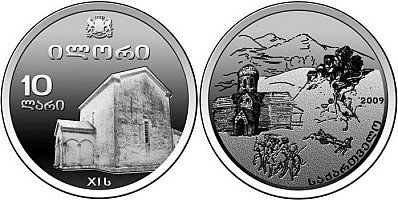 Some time ago, some sources mentioned this new circulating commemorative in Panama. 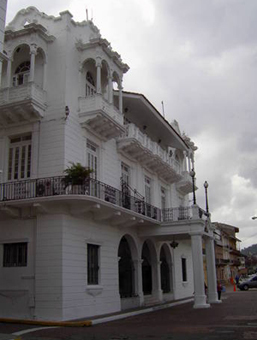 2 million Balboas were to be minted in 25 cents coins, with a Panama flag embossed color image superimposed on the "Palace of the Herons", the presidential building. 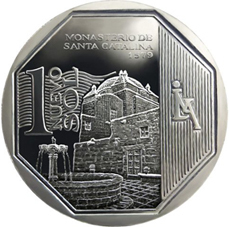 Updates from january 2013: Juan Carlos Jiménez, a well known expert on Panama coins tells that although the issue of this coin was planned (and even has a coinage law), it seems that has never been struck and he does not believe they will ever be issued, as other coin issues take precedence.